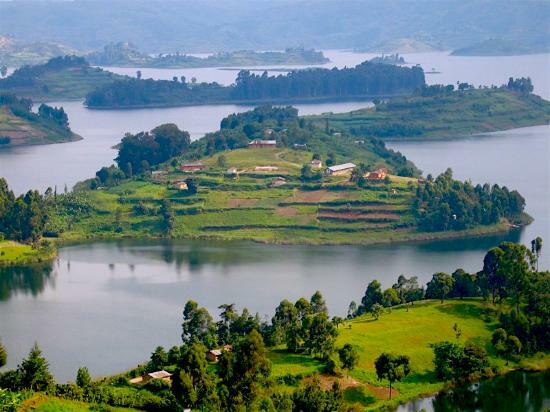 The 15 days Gorilla safari Rwanda Uganda is the prefect safari combo for those willing to visit both countries. With the introduction of the East African tourists visa, this is the best safari combo, that includes gorilla trekking, chimpanzee tracking, safari game drives and so much. The trip starts from Kigali Rwanda and ends in Kampala Uganda. 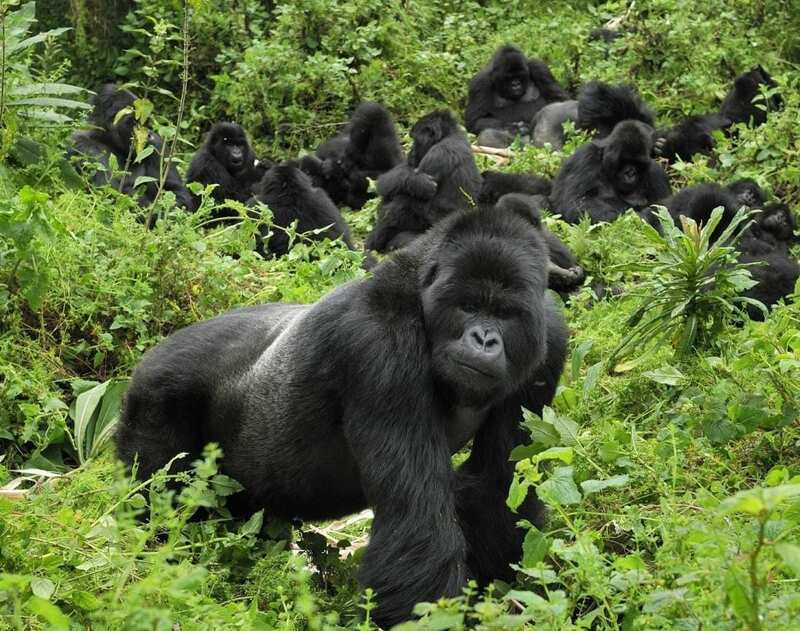 Contact AA safaris and tours for rates of the 15 days gorilla safari Rwanda Uganda. 15 days Gorilla safari Rwanda Uganda. Day 1: Arrive Kigali airport. \ Drive to Nyungwe National park. 4 hrs drive. Moderate – Nyungwe To p hill View Hotel. Day 2; Chimpanzee Tracking in Nyungwe forest park.BLD. Wake up early morning for breakfast, and after move on to Nyungwe Forest at 5:00am to look for chimpanzee. At times these are referred to as the human cousins because they behave like humans. Watch them as they rise from there nests and begin there day. You will not only come a cross the chimps but there are primates like monkeys that also survive in the park. Birds are also in plenty but the majority are albertine endemics. You will have a forest walk too as you continue with the search. Enjoy your lunch enroute. After the long day search, move back to the accommodation of your budget. Early in the morning, our safari driver will pick you up from your overnight hotel and drive to transfer you to Volcanoes national park. . Dinner and overnight at. Depending on your prefered activity you will depart your hotel at around 6:45 am to transfer the park head quarters for briefing. After briefing then start the trek through the forest in search for with golden monkeys or Gorillas. Once you meet them you will be allowed to spend 1 hour taking photos and then later return to the starting point. For Dian Fossey tombs trek, this starts at the Karisoke research centre where you re given an insight about gorilla conservation and its history before you start the trek to the tombs. If you finish early, you can opt to go for a nature walk to the twin lakes, or visit the Iby’iwacu community at an extra fee. Day 5: Drive to Uganda Lake Bunyonyi. 3 to 4 hours . Super Rustic Luxury accommodation: Gorilla Forest Camp/ Clouds lodge/ Bwindi safari Lodge / Gahinga/ Gorilla forest camp. Mid range accommodation: Ichumbi gorilla lodge/ Gorilla safari Lodge/ Nkuringo Bwindi Lodge. / Silverback lodge / Gorilla mist lodge. Day 7: Gorilla trekking in Bwindi. Have breakfast early in the morning to give you energy through out the day. Carrying your tracking gears move to the ranger station for another interesting adventure. This lasts between 2-8 hours so your patience is very vital. 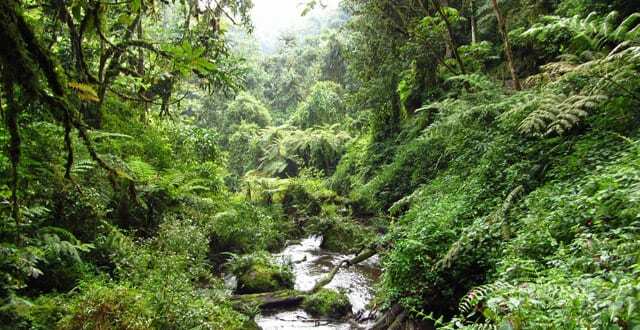 Gorilla trekking starts at 8am and through the forest you start the search for gorillas. After encountering the mountain gorillas, you will be allowed to stay in their presence for 1 hour. Return to the lodge for dinner and overnight. Day 8: Drive to Queen Elizabeth Park – Through Ishasha. Mid range accommodation: Ihamba safari lodge / Marafiki safari lodge. Wake up early in the morning and head for a game drive especially in the crater sector of the park. You will have the chance to view animals like elephants, water bucks, bushbucks, Kobs, buffalos, giant forest hogs, topi, and so many interesting animals. There are variety of both local and foreign birds too. Head for a fantastic launch cruise on Kazinga Channel. It has a beautiful avian life which includes both local and foreign birds like martial eagel, African skimmer, papyrus gonolek, the rare shoe bill to mention but a few. Return for dinner and overnight at the accommodation of your budget. Moderate – Crater safari Lodge / Mountains of the Moon Hotel/ Primates Lodge Kibale standard rooms. Luxury – Ndali Lodge / Kyaninga Lodge. .
Day 11: Drive to Murchison Falls Park. 7 to 8 hrs. Early in the morning, head to Murchison fall national park. It is along day’s drive. You are to pass via Hoima to the Park. Check in and have dinner plus overnight. Day 12: Safari game drive / Boat ride on Victoria Nile. 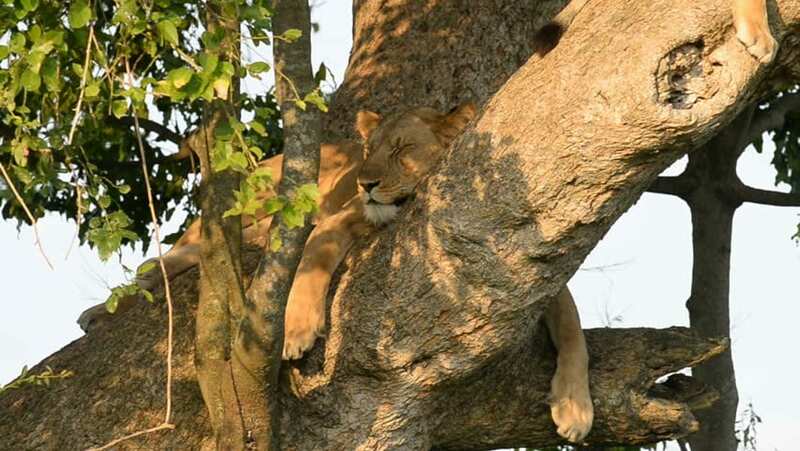 Early in the morning, move on for a game drive where you will have the chance of seeing early risers like leopards, lions, hyenas and several other animals that are returning to there hide outs. More animals you may spot include: giraffes, cape buffalos, hippos, oribi, warthogs, kobs to mention but a few. After lunch, head to river Nile for launch cruise. In return, watch the Nile waters as they pour down the high escapement forming a cloudy appearance. Return to your booked accommodation for dinner and overnight. Early in the morning, drive to Mengo palace of Buganda, Naggalabi coronation site, visit the Katereke prison ditch. 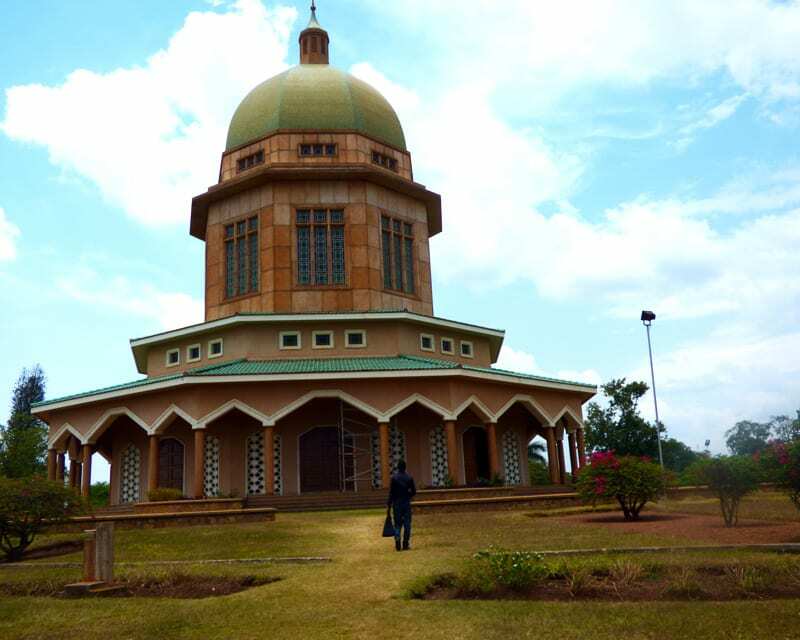 Head to Bahai Temple in Kikaya the only one of its kind in entire Africa. Continue to Namugongo Uganda Martyrs’ shrine where over 23 innocent Christians where burnt to death. Listen to its great history. If you have just day in Kampala, therefore we recommend to do our 1 days Kampala City tour. Drive to the national museum and get back to your booked accommodation for dinner and overnight. Day 15: Return to your home country. The 15 days gorilla safari Rwanda Uganda today comes to an end with a drop off at the airport for you to catch your onward flight back home.